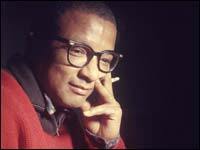 Morning Edition, February 6, 2007 · Best known as the songwriting genius who created many of Duke Ellington's masterpieces, Billy Strayhorn is the subject of a new documentary premiering Tuesday night on public television, as well as a fine companion CD. Both are titled Lush Life, after Strayhorn's most enduring composition, which commentator Ashley Kahn sees as the composer's autobiography in music form. Though it was written in the '30s, "Lush Life" was not recorded for public release until Nat "King" Cole sang it in 1949 with a free and easy feel. Since then, it's become one of the most standard of pop standards, with no signs of fading away. It was even a highlight of a recent Grammy Awards gala, performed by Queen Latifah. "Lush Life" conveys such a vast range of emotions that more than 500 musicians have explored it. Some, like Joe Henderson playing solo saxophone, have chosen a hushed approach, while singers like Nancy Wilson have given it a shot of drama. "Lush Life" seems simple, but it's quite complex — emotionally and musically, with a very unusual structure. It even gave Frank Sinatra a hard time when he tried to record in 1958. He gave up on the song, laughing that he would "put it aside for about a year." But he never did return to it. "Not everybody could sing it," says Andy Bey, a celebrated jazz singer and pianist with a strong personal connection to "Lush Life," a song he has returned to repeatedly throughout a 55-year career. "A lot of songs had verses and refrains, you know, but it's like a mind boggling thing. It's not about 'ring-a-ding ding' when you do "Lush Life." "It's about somebody's life. There's a worldliness, about a person who has lived. You really have to kind of understand the story and try to keep the mood, keep the focus." The pun in the song's title suggests that "Lush Life" might be speaking of a life of elegance, or of boozy despair. In both senses, the song reflects the life of the man who wrote it. Billy Strayhorn was the piano prodigy Duke Ellington recruited in 1938 to compose material for his band. Through a 30-year, on-and-off relationship, Strayhorn wrote many of Ellington's most memorable and sophisticated tunes. "He was like Duke Ellington's right-hand man," says Bey. 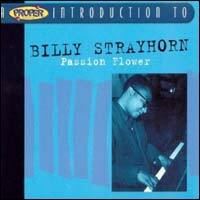 Strayhorn was born in 1915, and fell in love with classical music before developing a fascination with jazz. Growing up in a working-class neighborhood in Pittsburgh, he dreamed of a more cultured and cosmopolitan way of life. He was only 16 when he began to write "Lush Life," which he first called "Life Is Lonely" — and which we now know as "Lush Life." 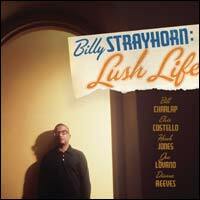 In fact, the words Strayhorn wrote as a teenager predicted the life he did eventually lead. He did become a socialite, he did make it to France. And he did become an alcoholic. The song's lyric reveals both poetry and a maturity that's surprising coming from a teenager. It also seems to suggest another significant side to Strayhorn's identity: his sexual orientation. Bey quotes the first line of the song — "I used to visit all the very gay places..." — and adds, "Who knows? He might have been thinking about the gay bars, but I think it was something broader than that, because he was too broad of a person. I see it as places that are happy and carefree and gay." As his biographer David Hajdu wrote, Strayhorn was a minority three times over — African-American, gay and open about his homosexuality. His offstage role in Ellington's band made it possible to avoid the public spotlight. "I think he loved taking a back seat," Bey says. "Because that way, it gave him the freedom to be himself, even though it might have hurt him, because he wasn't given the credit that he deserved as an artist. Billy had the strength and the balls to come out and be who he was." Strayhorn died in 1967, his death hastened by years of alcohol and cigarettes. He never said if "Lush Life" was intended to be a pronouncement of his lifestyle, yet the song survives as a poignant self-portrait: complex, mature and open to interpretation. NPR.org, February 5, 2007 · Few American composers — in any category of music — were on a par with William Thomas Strayhorn. His ability to weave the intricate and sophisticated harmonies of classical music into the richness and swing of big-band jazz was unparalleled. (Just check out the nimble chordal movement in a tune like "Chelsea Bridge.") He excelled at composing melodies and writing lyrics with wit and poetry, as in his signature tune "Lush Life." "With all respect to Cole Porter and Rogers and Hart and Jerome Kern, I love them all, they're great geniuses," singer/pianist Andy Bey said. "But Billy Strayhorn was a different kind of a genius because he was in the background." When the 51-year-old Strayhorn died in 1967 after battling cancer, he was well on his way to the recognition he deserved. 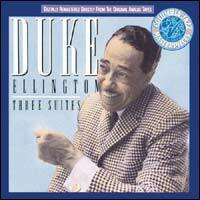 Certainly, Duke Ellington — with whom he had remained, off and on, for most of Strayhorn's 30-year career — emphasized his contributions to the Ellington orchestra in stage announcements, on LP covers, and on a posthumous tribute album to his friend and songwriting partner: And His Mother Called Him Bill. To know Strayhorn's full story, check out the new television documentary Lush Life, airing as part of PBS's Independent Lens series, or read David Hajdu's biography of the same name. For those looking to hear his music, the titles listed below represent a good start. Easily the best CD overview of the diminutive maestro's oeuvre, this collection features 21 tracks — mostly performances by the Ellington band of such classics as "Lotus Blossom," "Rain Check," "Take the A Train" and "Satin Doll." Also included: Nat "King" Cole's version of "Lush Life" — the public debut of the song from 1949, with Pete Rugolo's impressionistic arrangement — and drummer Louie Bellson's take on "Johnny Come Lately," with Strayhorn himself on piano. By the early '50s, miffed at the lack of credit he had received under Ellington's wing, Strayhorn departed for a few years to freelance his talents and try his hand at writing a Broadway show. Upon his return in 1957, Ellington spent the next 10 years making up for past slights: granting Strayhorn co-credit on their collaborations and lending him headline status on various projects, including the suites collected on this CD. Of special note: their oh-so-hip reworkings of tunes from Tchaikovsky's Nutcracker Suite, like "Sugar Rum Cherry" (from "Dance of the Sugar Plum Fairy") and "Danse of the Floreadores" ("Waltz of the Flowers"). Not surprisingly, the Strayhorn tributes that are currently available outnumber the composer's recordings of his own music. He created music intended for wide interpretation, and it shows; a tune like "Lush Life" has been convincingly performed as a swinging celebration or as moody self-reflection. The takes on this collection feature stellar soloists from the current Blue Note jazz roster, including saxophonist Joe Lovano, vocalist Dianne Reeves, and pianists Bill Charlap and Hank Jones. The four-handed workout "Tonk," performed by Charlap and Jones, is a revelation, while Lovano's "Chelsea Bridge" and "Johnny Come Lately" are flavorful and fun.